Transforming at an unbelievable pace, the competitive education industry just rolls out on results. Suyog Penkar, CFO, Vidyalankar tells us why students choose and believe in them. Share with us your entrepreneurial journey and enlighten us what motivated you to enter the education industry? 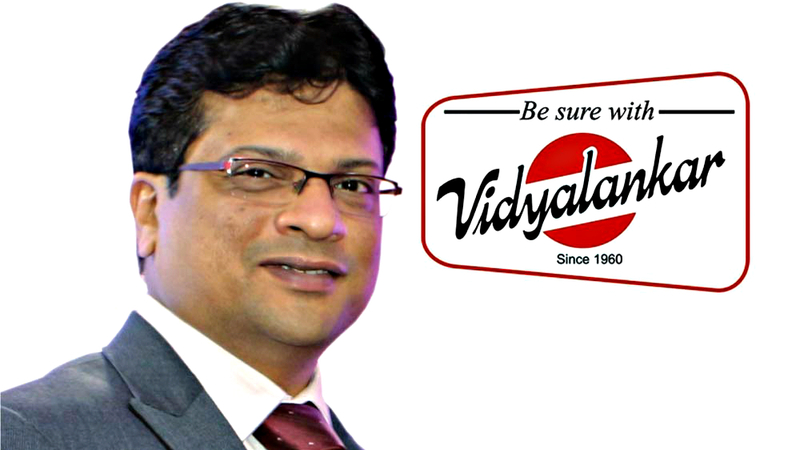 Vidyalankar is a premier brand in education and was started in 1960. The Vidyalankar group of educational Institutes operates Coaching Classes for various engineering and medical competitive examinations like IIT JEE, MH-CET, GATE, etc. Catering across 31 centres in India, It has a presence in Mumbai for nearly 57 years. At present, over 50,000 students enrol with us every year. Due to the increasing level of competition and the need to succeed at a state or national level to get into colleges of choice, the face of tutoring has undergone a permanent change from what was once a teacher led, highly fragmented delivery model built around the promise of performance. Students today look for good training institutes through which they can prepare for various entrance or competitive exams. The promise to improve the level of performance of the student is what differentiates it from ordinary schooling. Ability to deliver consistent quality of teaching and ability to cater to the varying needs of each student are absolutely vital. Good classroom courses can give a distinct advantage to student. When did you start franchising your brand? Why did you choose the franchise route for your expansion? The purpose of starting the franchise model is to reach out to the students in other cities, and provide them quality education. We also believe that branding and franchising are two strategic tools for growth. Through franchising, we want to achieve a fusion where the local market knowledge of a franchisee and the educational expertise of Vidyalankar will help students to realise their cherished dream of admission to top class institutes like IITs. We believe that franchising and branding are the tools for future growth of our business. A local Marketing knowledge of the franchise and a expertise in business domain of franchisor is an unbeatable combination. We offer our partnership to committed professionals only who are passionate about providing the best of education to the student community. The franchisee should have passion to provide the best of services to the student community. He/ She should be the resident of the city or should have knowledge of the city/town applied for. Good managerial and administrative experience. All of the work done before the launch and after the start of full scale operations is handled by our team; Vidyalankar offers complete training and support to its franchisees. Besides, a research based and well proven study material prepared by Vidyalankar’s in-house team of IITians is provided to the franchisees. The complete course will be taught by Vidyalankar faculty from Mumbai. Vidyalankar being a training Institute itself has an in-house training team who regularly supports the centres on an ongoing basis. Please share your expansion plans and what are the new markets that are being targeted by your brand? We currently have 31 centers all over India and we are expanding our reach in the Western regions and articles of the country. We are planning to inaugurate 100 more centers in the next 5 years to reach the students of tier- II & III cities in India.